Home / Blog / hvac /What are HVAC Load and Capacity? One thing we ask our clients whenever they call us for an air conditioner replacement is what kind of load they’re dealing with. That’s where the conversation usually starts to break down, because most people don’t have any idea what the load of an HVAC system is. Understanding and having a good idea of what your unit’s load and capacity are can be very helpful in the future when you want to replace or upgrade an old unit, so here’s a short discussion on what the two terms mean. Simply put, the load that your system will be taking on is a simple way of saying how big of a space it will be heating or cooling. If you have an apartment that’s 1,000 square feet, for example, then that’s the general load of your HVAC unit. Figuring out the load is as easy as identifying the size of your residence, and most of the time you can get away with buying a unit that’s designed to handle right around that amount of space. However, you also need to take into consideration several other components, one of which is the climate where you live. The maximum load your system can expect to encounter should be based on your area’s most extreme temperatures; that way, you’ll know the system can easily handle everything in between. Keep this in mind the next time you’re considering a furnace replacement. On the other hand, capacity is the maximum output of your HVAC system. This is where the term “size” comes into play; the capacity of the unit to heat or cool a given load determines the unit’s size. Size matters, at least when it comes to this. An HVAC system that is insufficient for the specific load of your home will be unable to maintain a comfortable temperature throughout your entire residence, while an HVAC system that’s too big will cycle frequently, leading not only to the wear and tear of the system, but also to unnecessary energy expenses. So here’s a question: is it better to get an HVAC system that’s a smaller size, or one which is bigger? If you said smaller, then you hit the nail on the head. A larger system might seem to be more appealing since it means you have more than enough capacity to control your home’s internal temperature, but the rapid cycling on and off will wear out your HVAC system faster, meaning you’ll need frequent HVAC repair and will have to replace the system sooner. A smaller unit, on the other hand, might have some blind spots, but you can easily make up for this by adding more insulation or additional ventilation in your home. It’s always easier to adjust up than it is to adjust down. 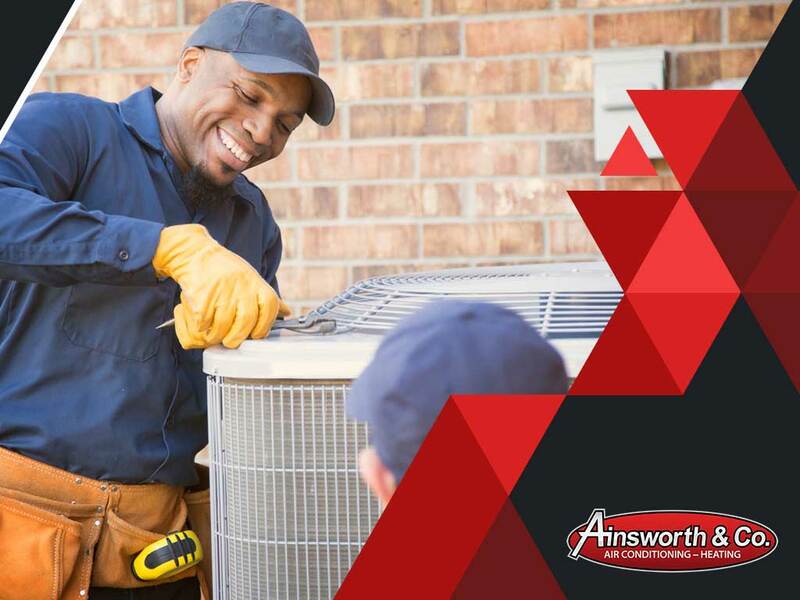 If you’re not sure what your load requirements are, give us a call at Ainsworth & Co. Air Conditioning – Heating. We know how to check your home for the exact load and system capacity you need. You can reach us at (281) 837-8454, or via our contact page. We serve residents of Crosby, TX.